All parking for race staff, volunteers and race participants will be in the downtown parking garage. Additional parking in downtown on the streets is available. Please arrive early as there will be street closures close to race time. 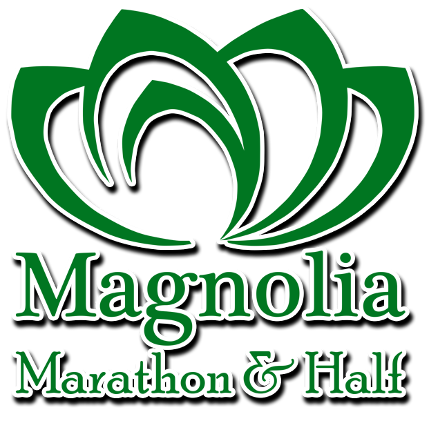 Each participant will receive an official 2019 Magnolia Marathon & Half t-shirt. Volunteers will receive an official "race volunteer" t-shirt. Each participant will enjoy fruit, food, water and other beverages during the post race party. Must have ID for beer. * Top overall male and female finishers for both the full and half marathons will receive a custom hand made award. * Top three finishing males and females in each age division will receive unique awards. * Each member of the top three relay teams will receive an award. All race rules for the Meridian Marathon, Half Marathon & Team Relay have been established in order to protect the safety of participants. Your cooperation is greatly appreciated in helping everyone to enjoy race day. The marathon, half marathon and the 4-person relay marathon begins at 7:00 am. Racers should make every effort to start on time. There will be no time adjustment for late starts. Late starters must check in with officials. Runners are disqualified if they are later than 15 minutes after the official start of their event and will not be permitted to start the event due to traffic safety concerns. The race cut-off for all events is 8 hours from the start of the full marathon, or 3:00 pm. 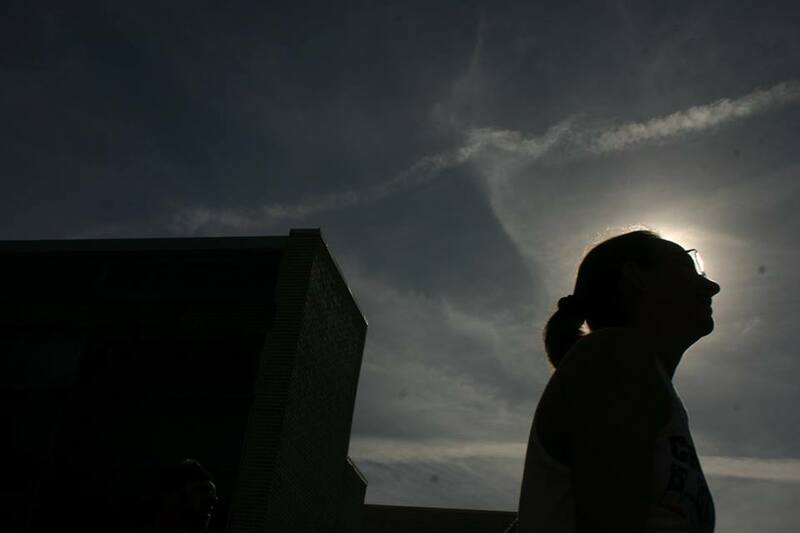 Aid stations and official timing will be shut down at 3:00 pm on race day. Only Race Pacer bikes, and wheelchairs who have are registered in the race are allowed on the course during the race. Strollers are not allowed unless cleared prior to the race with the race director. Only registered participants may be on the course during the 8 hour event. Bandits are strictly prohibited and will be removed from the course by race officials if discovered. Spectators are welcomed and asked to remain off the race lane. Headphones are permitted on the course. Please keep volume at level as to hear instructions from race officials. Participants must stay on the official course at all times. It is the responsibility of each participant to know the course and follow the directions of race officials. Participants who leave the course will automatically be disqualified. Please see the course map to learn the route before race day. If you leave the race for any reason, make sure you inform a volunteer at the nearest check point or start/finish line, or a safety patrol member. Only participants wearing the provided numbered race bib will be timed and included in the final race results. This race number must be worn on the front of the participant's body. Do not cover the bib with a jacket or crush the bib as the RFID chip may be damaged causing your time to not be read. Be courteous to other racers. Exercise care, caution, courtesy and common sense when passing other runners and when entering and exiting hydration stations. Let others know that you are coming, and that you intend to pass. 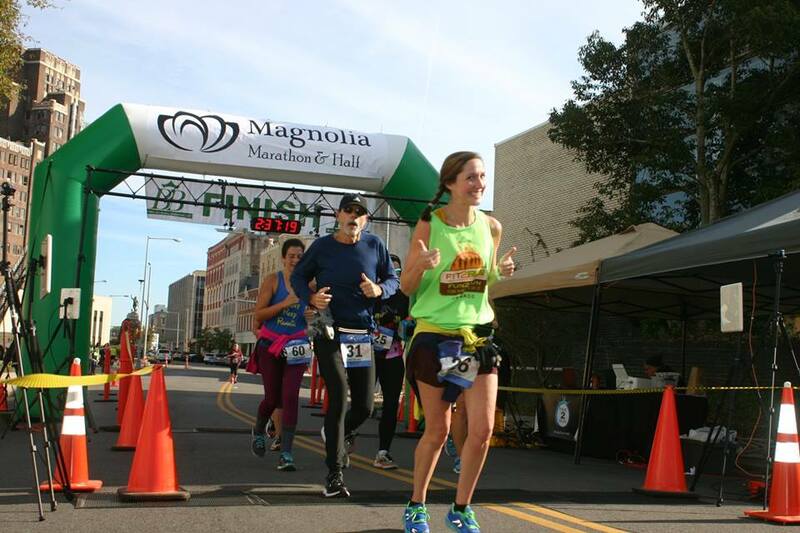 Runners are also expected to be courteous and respectful to volunteers. Deferrals, while not encouraged are allowed to the following year only. All request to defer to the following year must be made no later than October 31st of current race year. If you encounter a runner in distress, offer assistance and/or report the situation to the nearest aid station. At all times, runners must follow the directions of race officials. Participants must not come back through the finish area once they have completed the race. 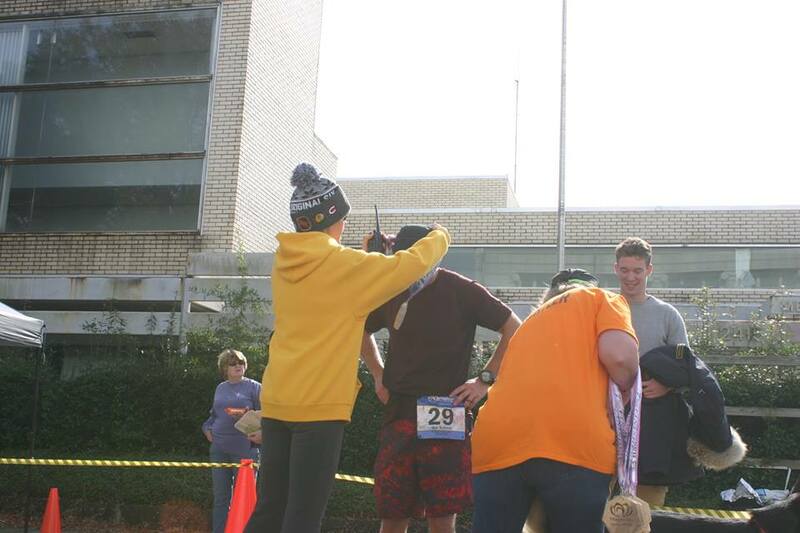 Bib swapping is strictly prohibited and will result in disqualification if it is discovered. Bib carrying of an additional bib for someone who could not make the race is also prohibited and will result in disqualification of all involved parties if discovered. Race switching on race day is strongly discouraged. All race switches must be reported to the timer. Failure to report a race switch will result in a DNF. All race switching can be handled at packet-pickup prior on Friday November 16th, 2018 at 7pm. 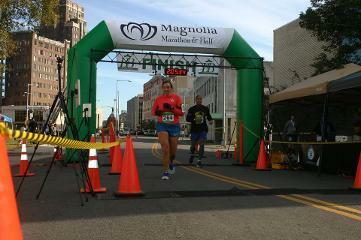 The Magnolia Marathon is a Boston Qualifier (BQ) and will be chip timed using Gun to Finish RFID Chip timing. Therefore all Marathon and Half Marathon times will begin on the gun at 7:00 am.